I nodded in confirmation. I understood and was ok with the ‘bucket and chuck-it’ school of waste disposal at sea, at least in principle. I was at the In and Out Naval & Military Clubhouse in London—a bizarre enough destination in itself—to meet Philip Beale, expedition leader and founder of the Phoenician Ship Expedition, and interview for a volunteer crew position on board a replica ancient ship attempting to recreate the first circumnavigation of Africa. 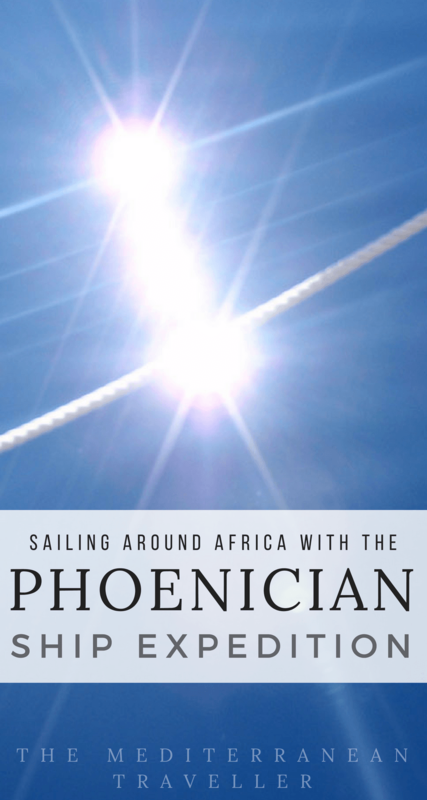 Six months later, in December 2009, I was fortunate enough to join Phoenicia on its quest around Africa; affectionately referred to by my family as the ‘crazy boat trip’. The Phoenicians were ancient civilisation in the Eastern Mediterranean, an alliance of city-states strewn along the coastline of modern-day Lebanon and Syria c.1500-300BC. Primarily, merchants and seafarers, the Phoenicians were also terrific innovators and—as well as developing the alphabet and insurance—were pioneers in navigation and ship design. With settlements across the southern Mediterranean coast and beyond, they explored and traded on three continents. 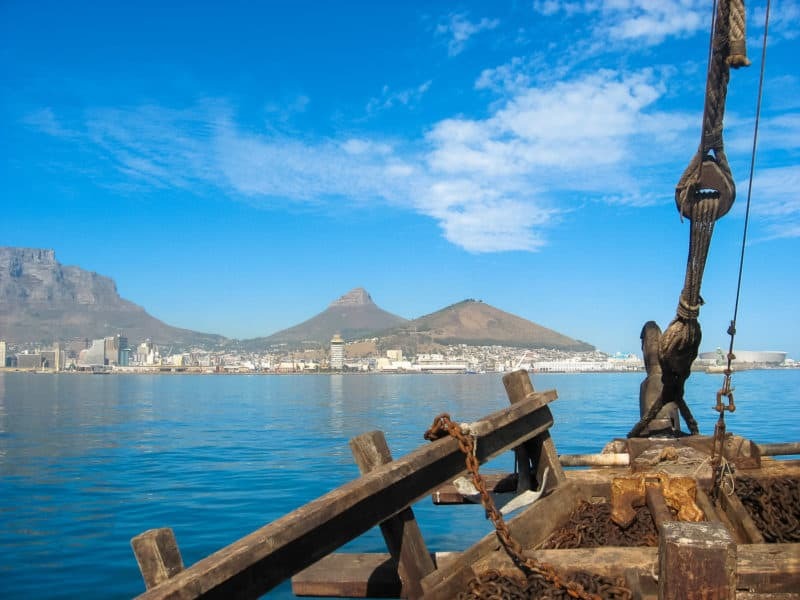 DID THE PHOENICIANS SAIL AROUND AFRICA? 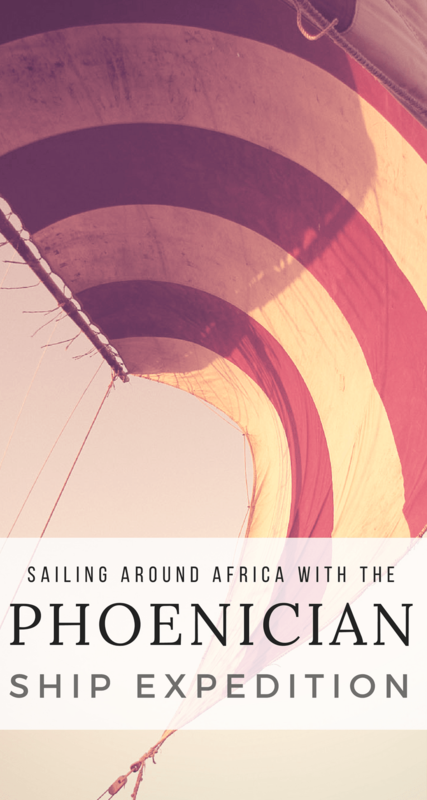 Whilst researching early maritime trade with Africa, Philip became convinced that the Phoenicians had succeeded in circumnavigating Africa on a 3-year expedition sponsored by the Egyptian Pharaoh Necho in 600BC, some 2000 years before the Portuguese. He set about building a reconstruction of an ocean-going Phoenician trading vessel, determined to prove it was capable of such a voyage. If you’re interested in learning about the expedition more I heartily recommend Philip’s entertaining book about the expedition, Sailing Close to the Wind. 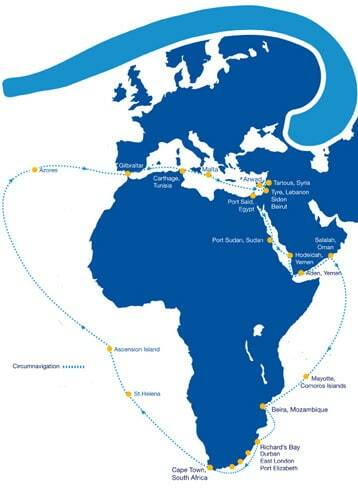 The route would take Phoenicia from Syria down to Egypt, through the Suez Canal and clockwise around Africa – down the east coast of Africa, around the Cape of Good Hope, up through the Atlantic to the Azores, to Gibraltar and then across the Mediterranean back to Syria. 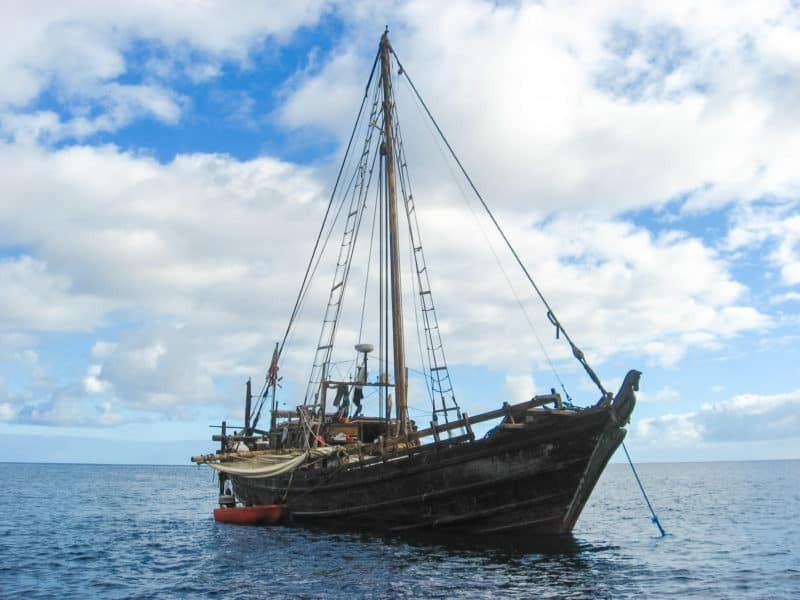 The Phoenicia was built from scratch on the Syrian island of Arwad and based on the wreck of the Jules Verne 7, a merchant galley of the right period. The ship was constructed in Syria using traditional techniques and materials such as Lebanon cedar, Aleppo pine, and olive wood tenons. 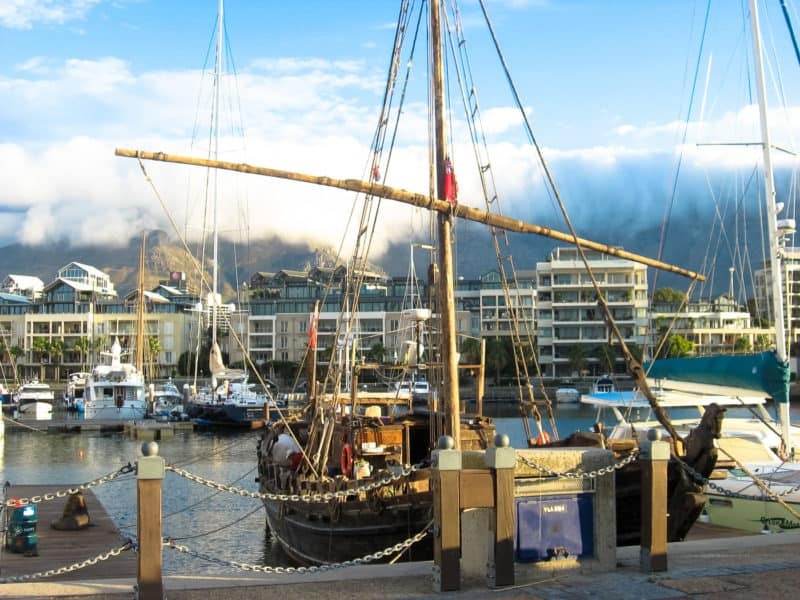 At 20m long and 6m wide, with one square-rigged sail and two steering rudders, Phoenicia carried up to 16 crew of assorted nationalities around Africa: English, American, Brazilian, Indonesian, Swedish, Japanese, South African, Syrian. By the time I came across the project Phoenicia was already in Port Sudan, having transitted the Suez Canal and overcome teething problems with the rudder design. 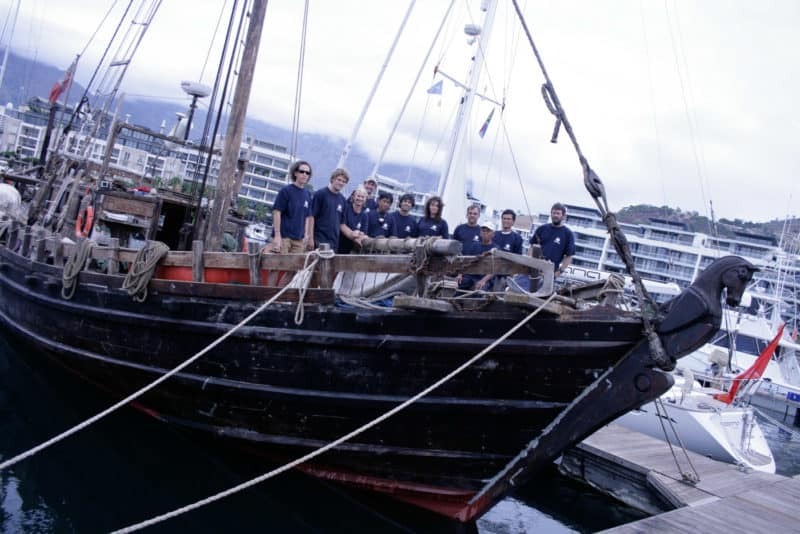 Six months later I flew out to join Phoenicia in Mayotte. The journey to join the ship was an adventure in itself. 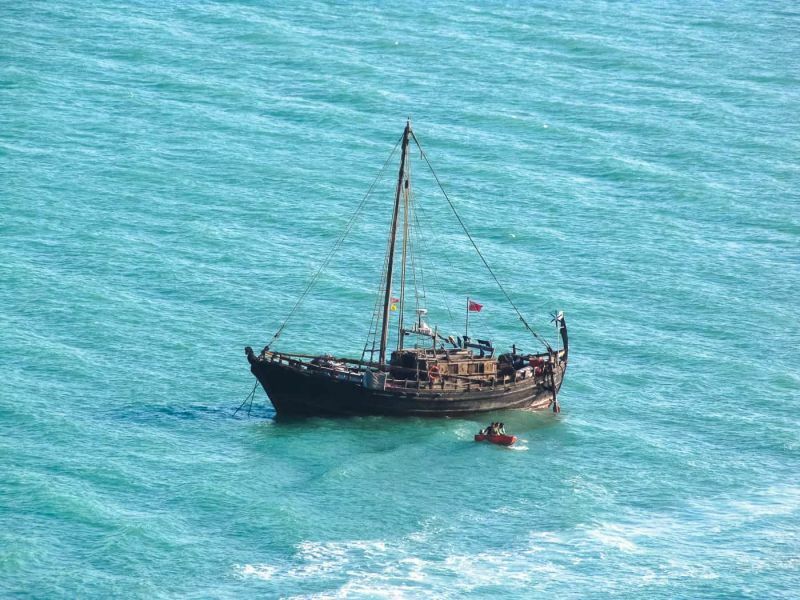 Having planned to join the ship in Zanzibar, the ship was rerouted to avoid pirate activity around the Seychelles. 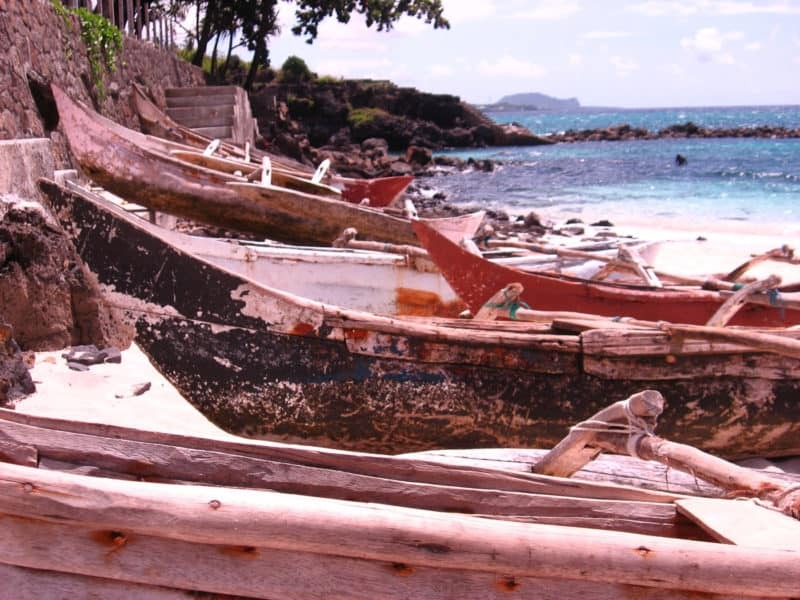 Now I had to find my way to Mayotte, a mysterious French island in the Mozambique Channel. I was so busy thinking about the logistics that I hadn’t had really prepared for being in Africa. Needless to say, there was culture shock. There was sweat, tears, scams, an ear infection, stories of plane crashes, a plague of touts, and a £150 phone call home. Eventually, I made it to Mayotte via Comoros, where I saw my first starry sky in the Southern Hemisphere and felt I was on the edge of the world looking down on the universe. 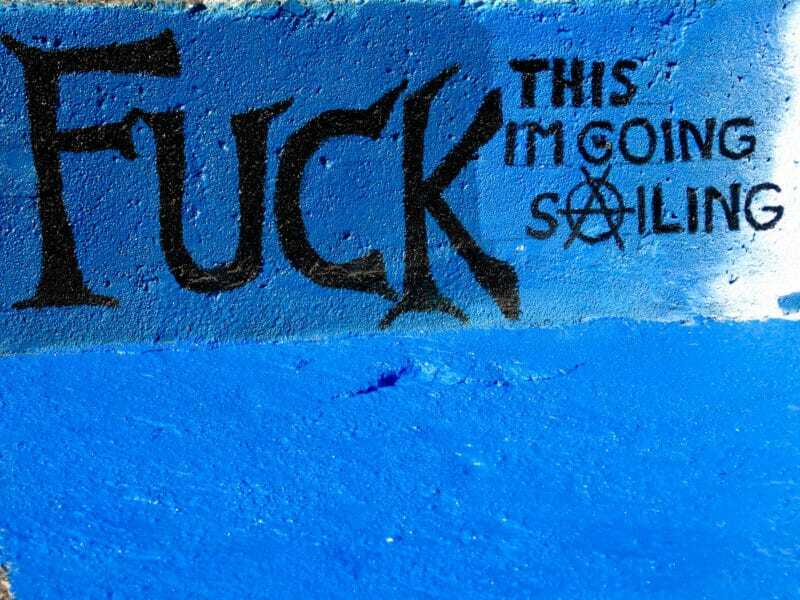 With some relief and a definite lack of grace, I climbed on board in December 2009. 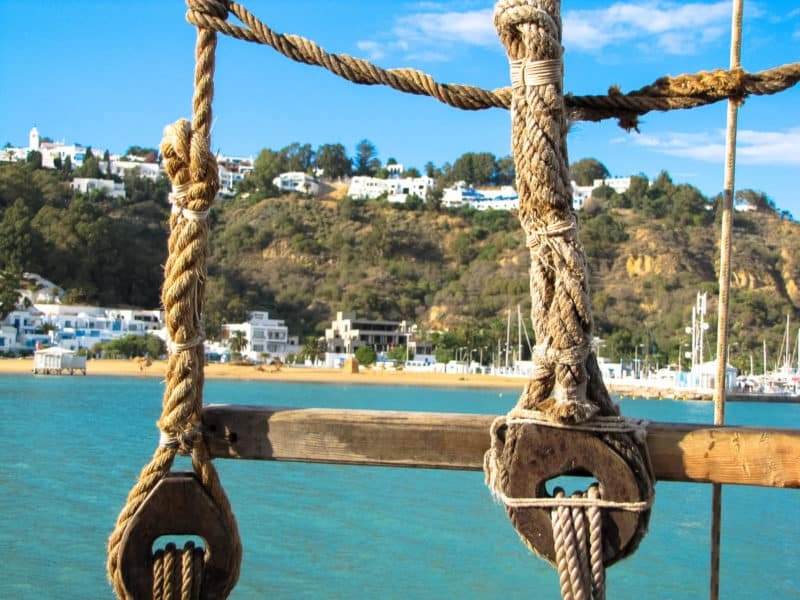 I’d first come across the ship’s website six months earlier whilst idling browsing Findacrew, a habit I acquired after falling in love with sailing—first on a gulet in Turkey, then on a tall ship adventure around the Balearics. I was 24 and had no ties or responsibilities. It seemed like the perfect time to run away to sea. And then I stumbled across a bona fide adventure. Although with my limited sailing experience I didn’t actually believe I’d make it through the application process, I’d felt a golden glow of inevitability as soon as I saw a picture of the boat. 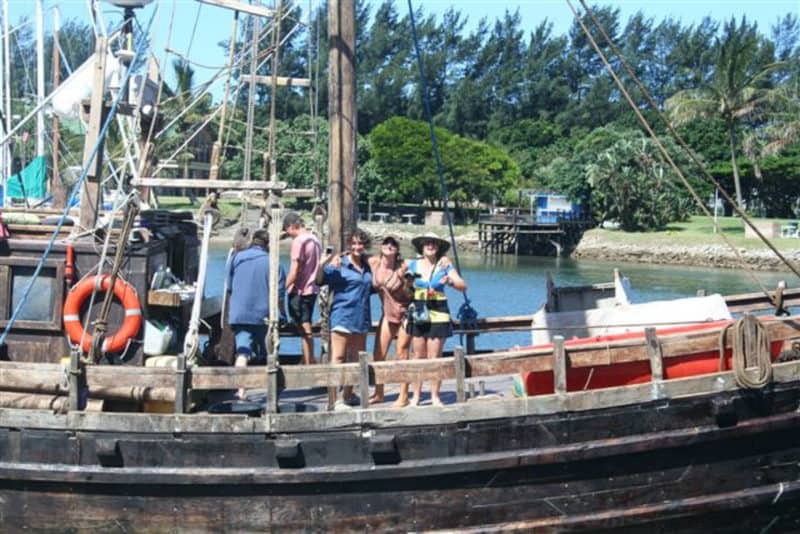 It turns out there aren’t too many people with no time constraints raring to join an untested wooden boat in pirate-infested waters. But hey, did someone say ‘adventure’? Bored with my job, full of twenty-something frustration and malaise, I felt like I’d always taken the easy option in life and wanted to challenge myself. And this was truly a once in a lifetime experience. 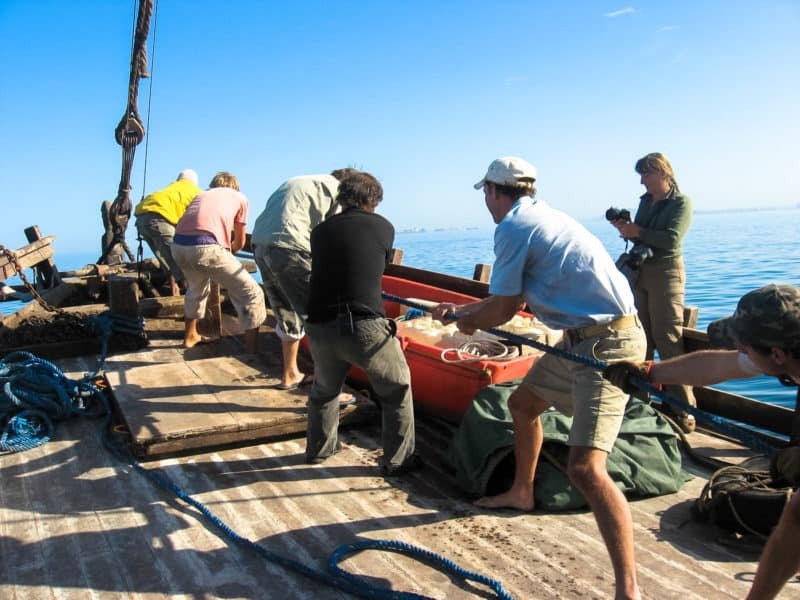 Not just a unique boat and a chance for adventure, but to be part of something bigger; a celebration of a culture and a history. 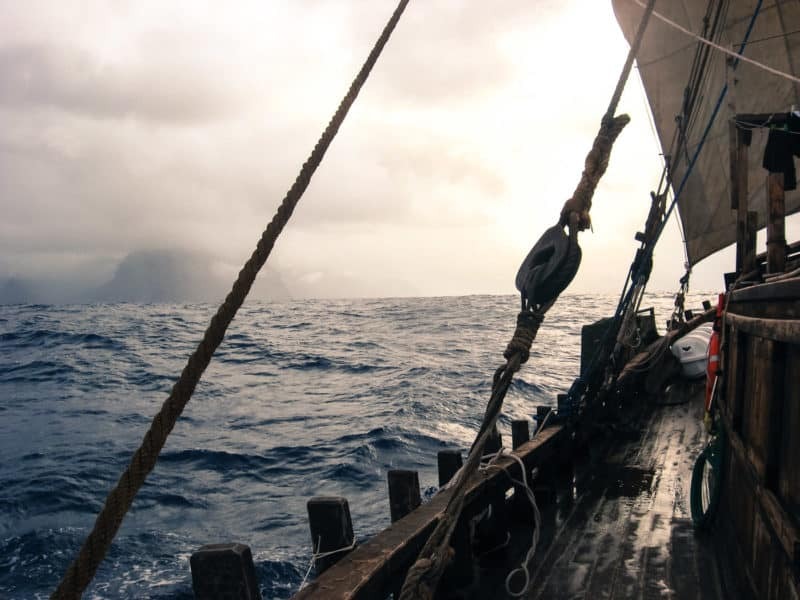 It was sobering to realise, as we sailed across seas and around continents, how many opportunities I took for granted back home would be denied to me if I’d grown up instead in many of our destinations, let alone the adventure I was undertaking. 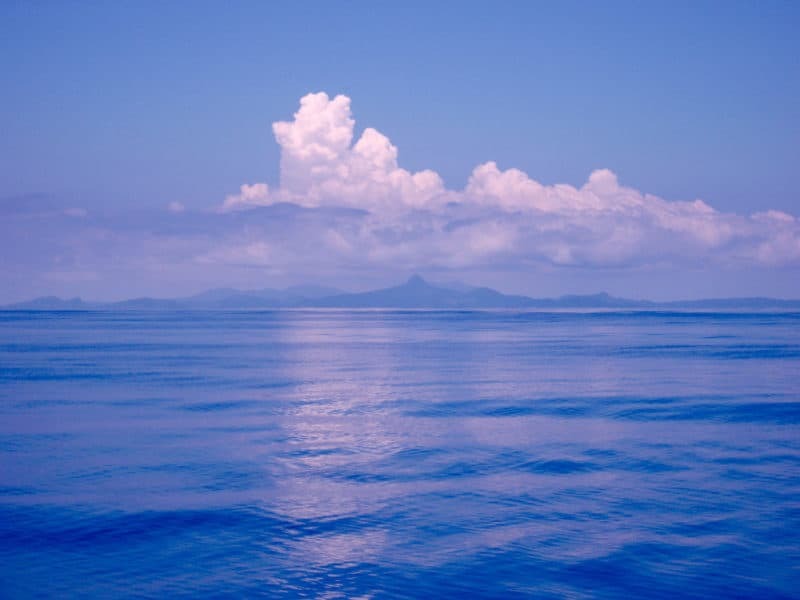 We set sail from Mayotte in sweltering weather scattered with electric storms. Two days later it was Christmas Day, we belted out Mariah Carey’s All I Want for Christmas in tropical downpours and cooked festive dishes from our home countries. Mozambique marked the beginning of my love affair with Portuguese custard tarts. From there we made several stops down the east coast of South Africa. The yacht clubs along this coast were exceedingly generous with their celebrations, probably because they thought we were nutters who would never make it down the notoriously rough Wild Coast, let alone the Cape of Good Hope. But we did make it. Phoenicia had proven herself capable. 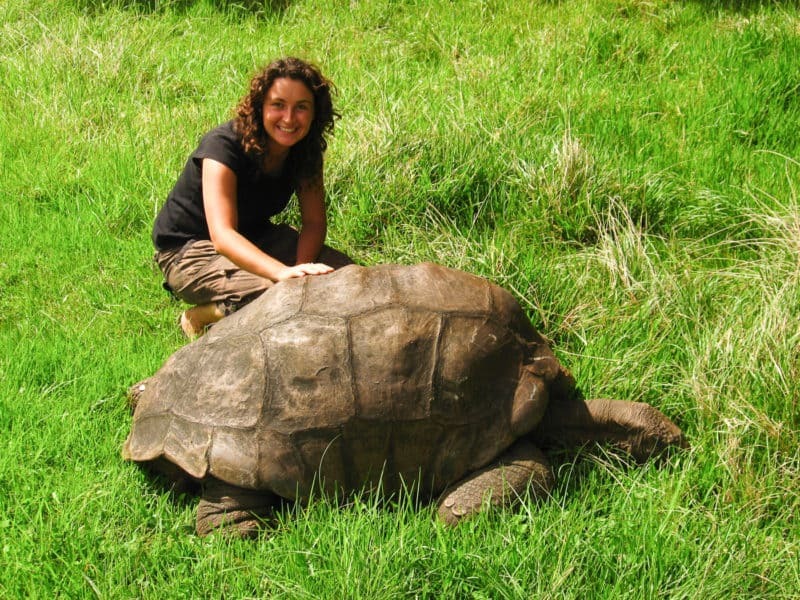 Rather than hugging the west coast of Africa, we caught the trade winds up to the fascinating British Overseas Territories of St Helena and then Ascension Island, two of the most remote islands in the world. 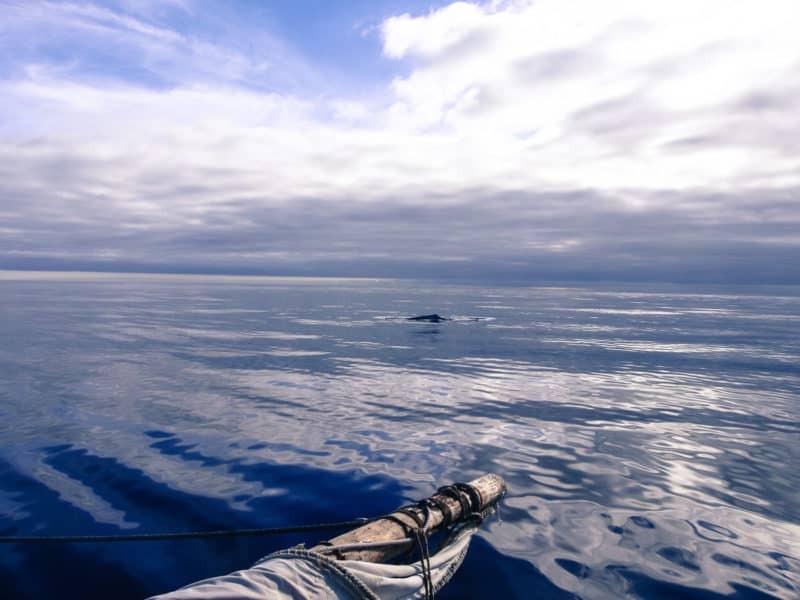 These were longer passages at sea – around a month apiece, although nothing compared to the next leg to the Azores, which turned out to be an epic 84 days. 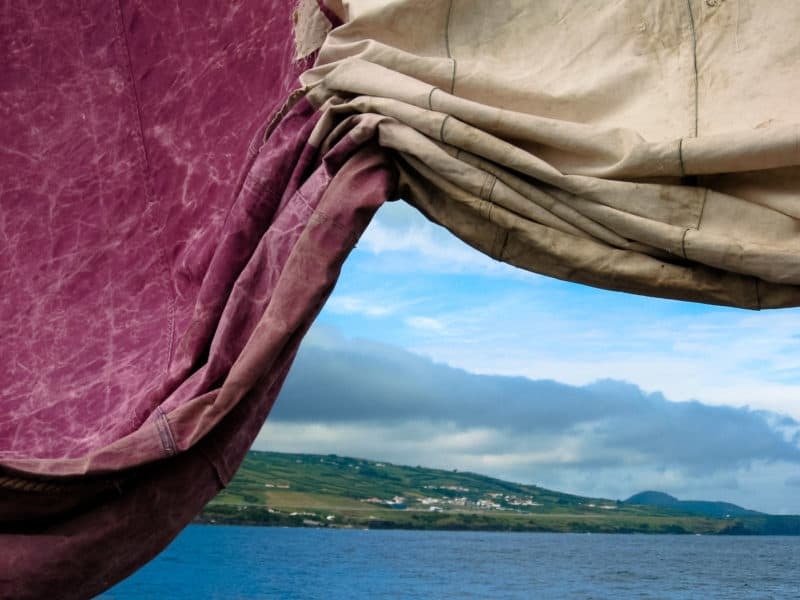 I’ll never forget the smell of land when arrived in the Azores after such a long time at sea—of green and wet rock, and the realisation that we hadn’t really walked for the best part of three months. The Azores were a verdant paradise of ham, cheese, waterfalls, flowers, abandoned churches, volcanoes, cheap beers and more custard tarts. 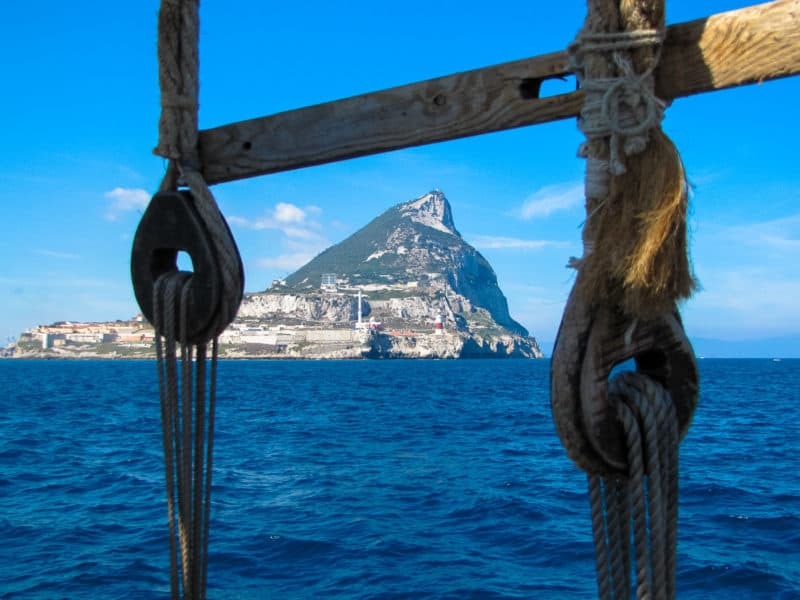 From there we sailed to Gibraltar to enter the Mediterranean through the Pillars of Hercules. Despite the fog on our approach, we could just make out the illuminated shorelines of Europe on one side, Africa on the other, the Milky Way spanning overhead. The smell began to change too; the hot dust of the Sahara, the salt and pine of the Mediterranean ahead. We were now on the home stretch. 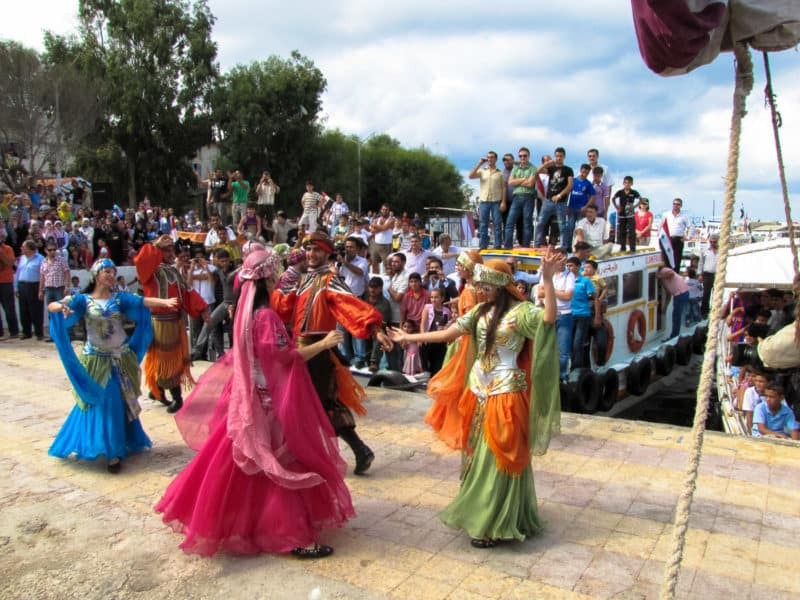 Finally, in October 2010, this tubby wooden boat with grand historical pretensions and a slightly eccentric crew sailed back to the Syrian island where it was built. 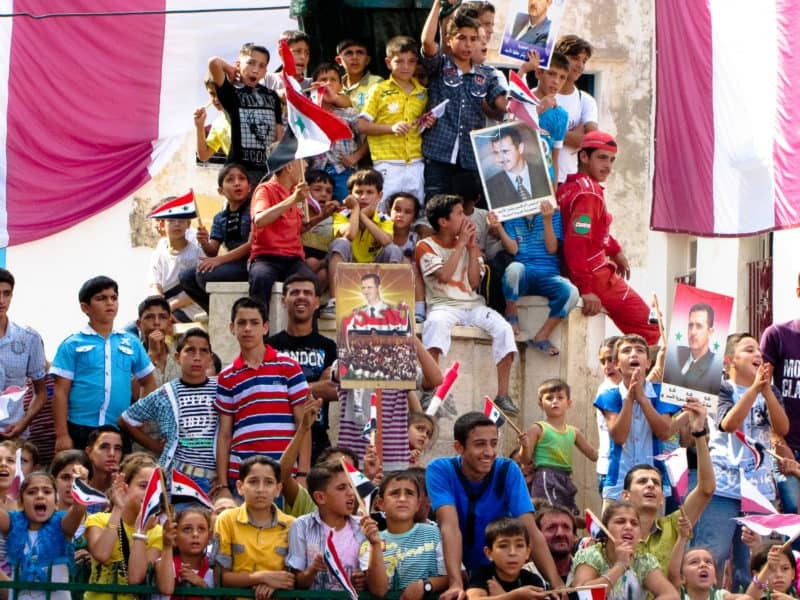 In Lebanon and Syria, we were greeted by crowds and flotillas as we brought the boat home. There were dancers, tours, TV crews, and more than one five-course banquet. 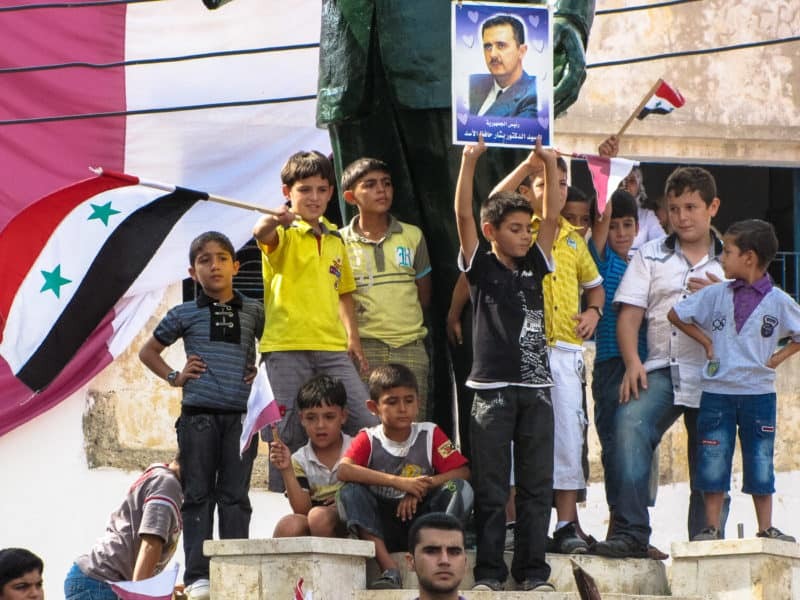 We experienced such incredible hospitality and warmth in these two beautiful countries, which makes the current situation in Syria all the more difficult to process now, particularly given the stark contrast of our own celebrated arrival with Europe’s dismal treatment of those fleeing the conflict. At first, it was disorientating being at sea. How would I ever be able to tell which direction was which? But as the days become weeks, I started to tune into my surroundings. The vast space and dark nights became a comfort, the waves familiar. I began to the read the movement of the stars and clouds across the sky, the ripples on the waves. My body acclimatised to interrupted sleep patterns. I’ll be the first to admit that I’m horrible at waking up at the best of times, let alone in the middle of the night after 3 hours’ sleep. For most of the day, as half the crew slept, Phoenicia was quiet but for the gentle whirr of the wind generator, the slosh of the swells rolling past, and the cosy purr of the gas heating the kettle for hot drinks. 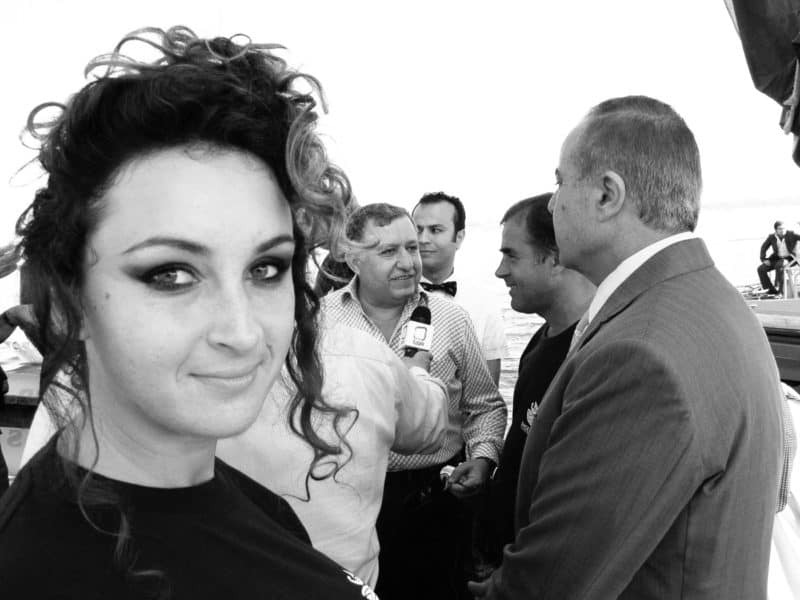 In comparison, the ship was a hive of activity in port: provisioning, repairs, official functions, parties, new friends. Most importantly, making the most of the holy trinities of ice-cream/beer/cigarettes and hot showers/wifi/laundry. 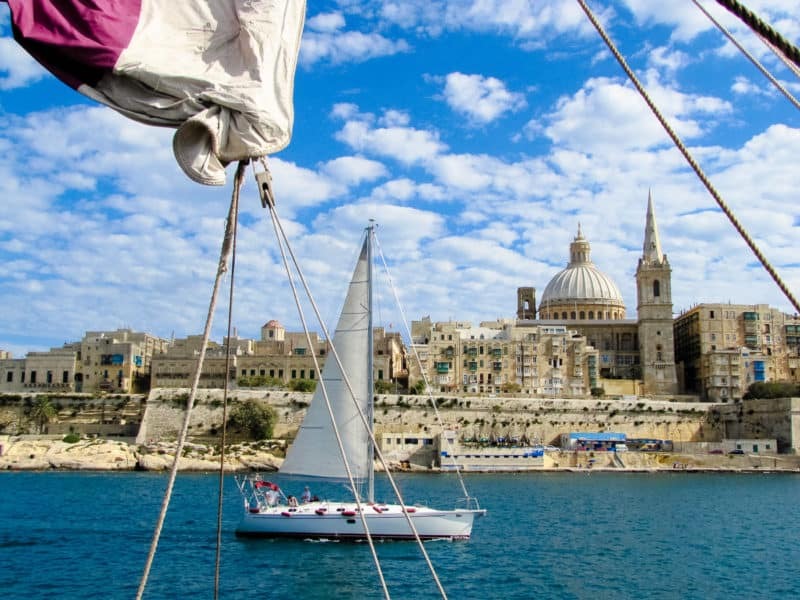 I loved marina life; all sorts of sailors on all sorts of voyages, colourful characters and wild stories abound. The long-distance cruisers with dogs and kids. The single-handers. The foragers, the musicians, the hitch-hikers, the hippies, the drug smugglers. Once we were out to sea again a quiet would descend as everyone settled back into their usual habits. It felt like coming home. And that’s the best thing about sailing—taking your home with you. 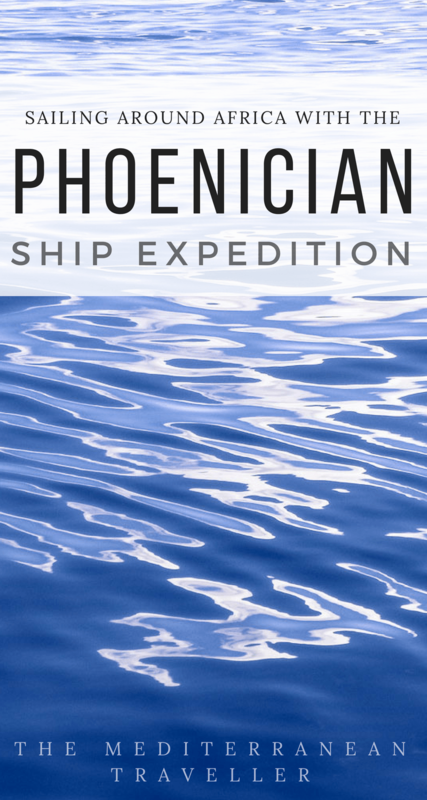 You might not guess to look at her, but Phoenicia was remarkably comfortable out at sea. 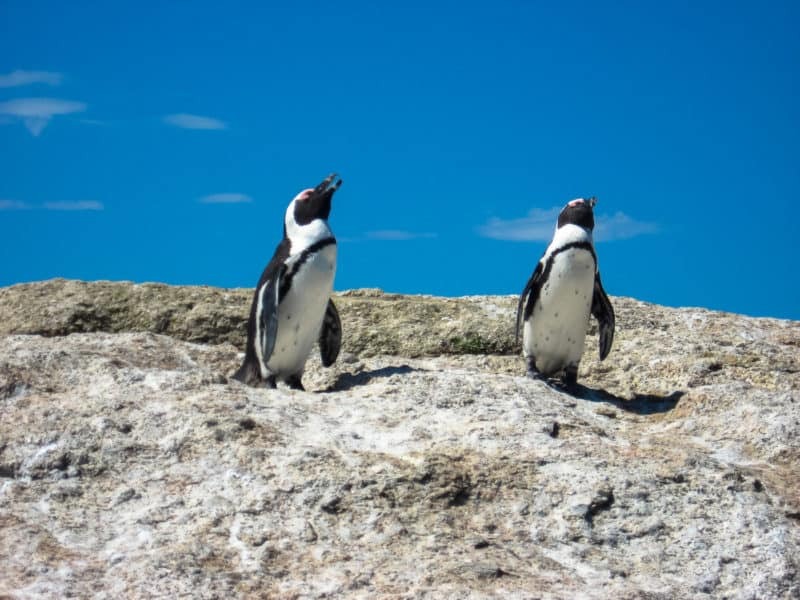 We were treated to some incredible displays of wildlife: dolphins as far as the eye could see on leaving Durban, turtles hatching, penguins, Cape seals, baboons, Barbary monkeys, seabirds, the occasional shark. 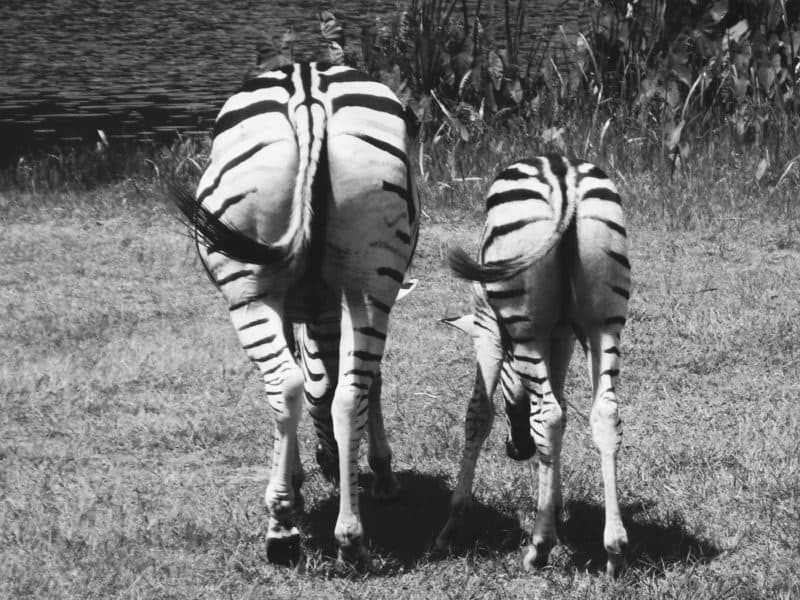 Not to mention the two safaris in South Africa. 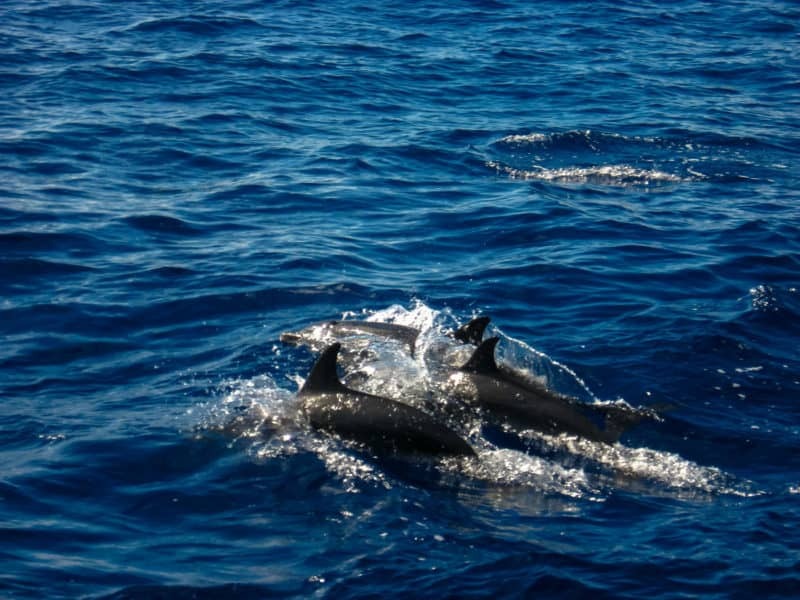 A tuna shoal followed us up the Atlantic, providing not only meals but attracting other spectacles – bigger game fish like marlin, and the drama of a sardine feeding frenzies. Everyone received a flying fish or two in the face at some point. Sometimes I wonder the market value of the tuna we caught and consumed. 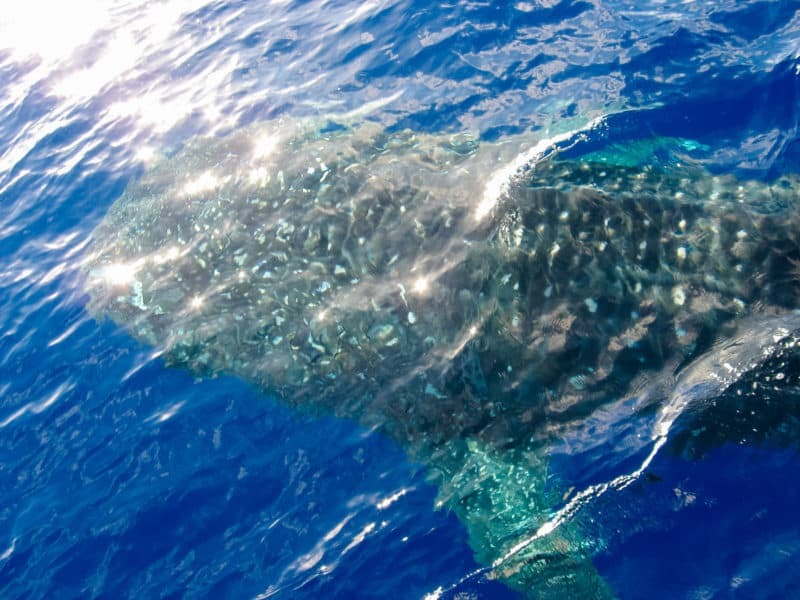 The highlight, though, was a visit by an inquisitive whale shark in the Atlantic, which circled the boat for an hour and alarmed the captain by using the boat as a back-scratcher. The expedition turned out to be a feat of mental rather than physical endurance. I had expected hardships, but nothing could prepare me for the miserable weeks of cold and damp in the North Atlantic. By the time we reached Gibraltar I had nappy rash from wearing damp clothes. Sitting on damp wood. Sleeping in a damp bed. One of my happiest memories remains the purchase of a pack of men’s boxers in Gibraltar – oh the feeling of fresh, dry cotton! 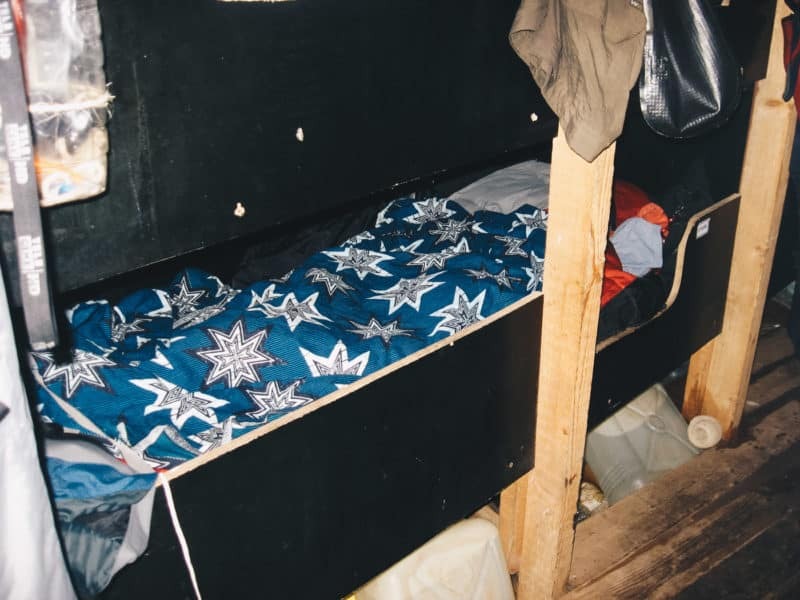 The spirit-crushing grind of being too cold and clammy to sleep, surrounded by the smell of rotting fish because your crewmates decided to hang tuna jerky near your bunk (fun fact: known as mojames, this is actually a traditional Phoenician delicacy, however, it works much better in dry climates . . . ). Cold weather also made washing an unpleasant experience: a complete shower involved 16 buckets of seawater. 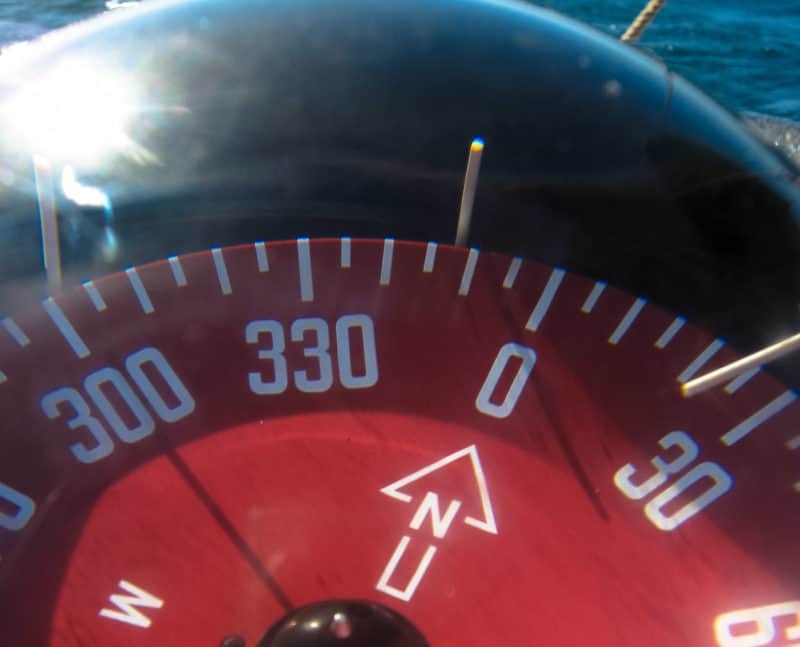 We also realised what it truly means to be ‘in the Doldrums’, the region of calm winds slightly above the Equator, in between trade wind belts. It means seemingly endless becalmed days, drifting in the wrong direction, slowly using up provisions and going slowly mad. 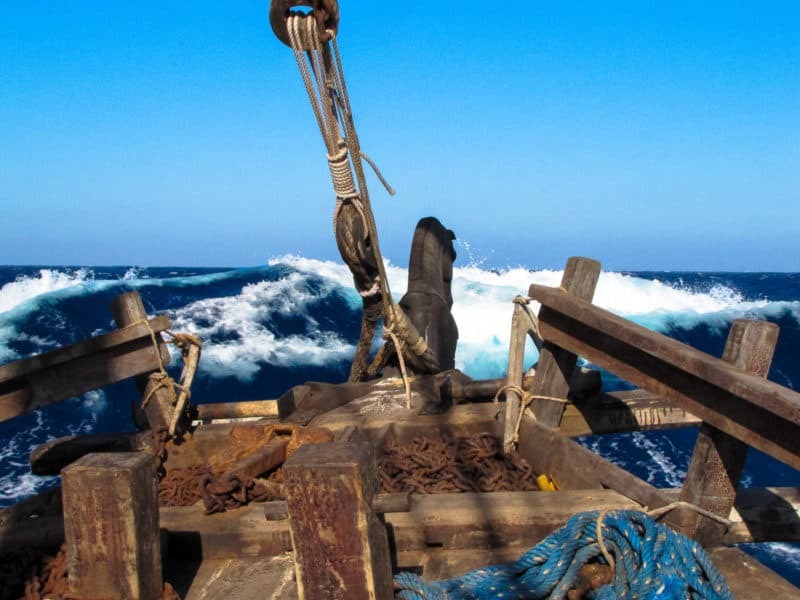 84 days is a long time to be at sea, so long that we ran out of cooking oil and had to ration our drinking water. The watch system kept us sane as it meant sleep was only ever a few hours away, meaning we didn’t have too long to dwell on our situation. These were the days before smartphones, and, besides, power on board was limited. Time passed in a cycle of reading, laundry, music, thinking, writing (usually lists of things I wanted to buy when I got home, rather than anything deep or poetic). I read books about sailing, stars, baking and fishing. Also: the oil industry, the space race, Russian espionage, meteorology, the stock market, Mongols and Sir Rannulph Fiennes. Don’t go to sea if you’re not prepared to spend time alone with your thoughts. When tensions inevitably did arise in such a small space, it was usually concerning food or water. You could divide the crew into two equally passionate groups, often at war: Camp Spicy and Camp Bland. There was a correlation between fresh food and morale. With careful use, fresh food could be spun out for 3 weeks, if you include cabbage. Then it was down to creative ways with tinned food, old lentils and beans, and rusty unwanted tins of corned beef. We took it in turns to cook. With such limited fresh food, we turned to baking to keep things interesting. 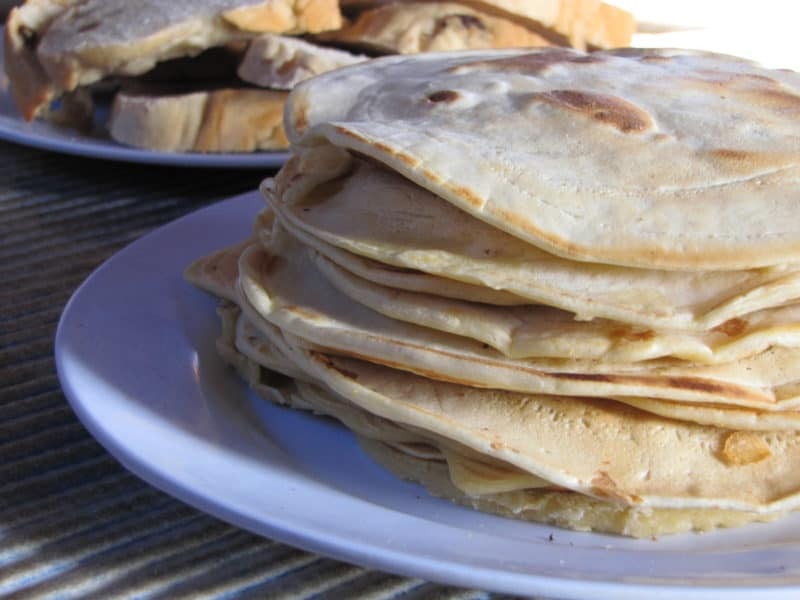 There were pancakes, pizzas, popcorn. I tried to make up for my lack of muscle and mechanical prowess with copious amounts of cake (carrot, chocolate, orange and lemon). 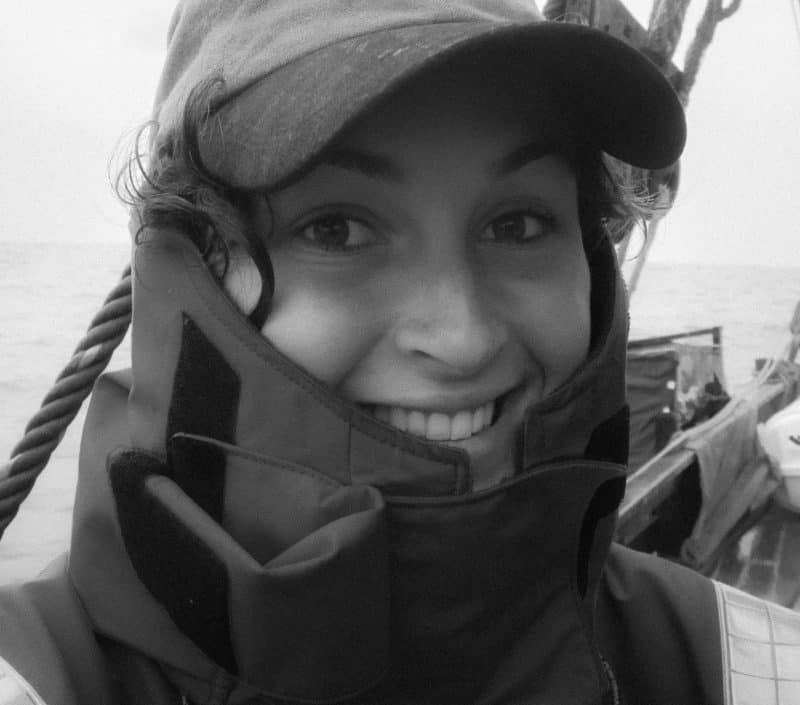 Aside from a few hairy moments, I was never too concerned about the dangers of the expedition—testament to the composure of the skipper and crew, but probably also due in part to my naivety. 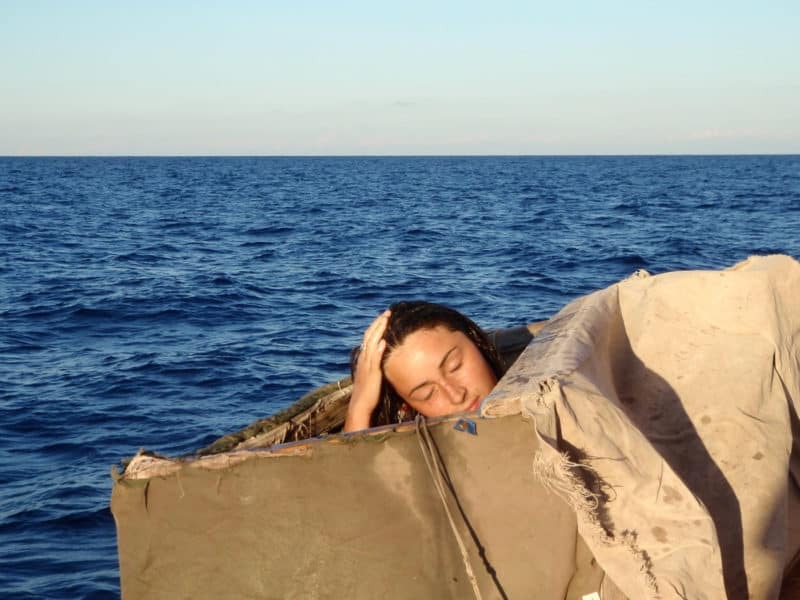 Besides, the real dangers were often much more mundane than pirates or storms: running out of water and provisions, problems with the bilge pump, Phoenicia‘s lack of manoeuvrability when confronted with obstacles. As for pirates, I think we scared off more than one cargo ship which thought we looked a bit dodgy! 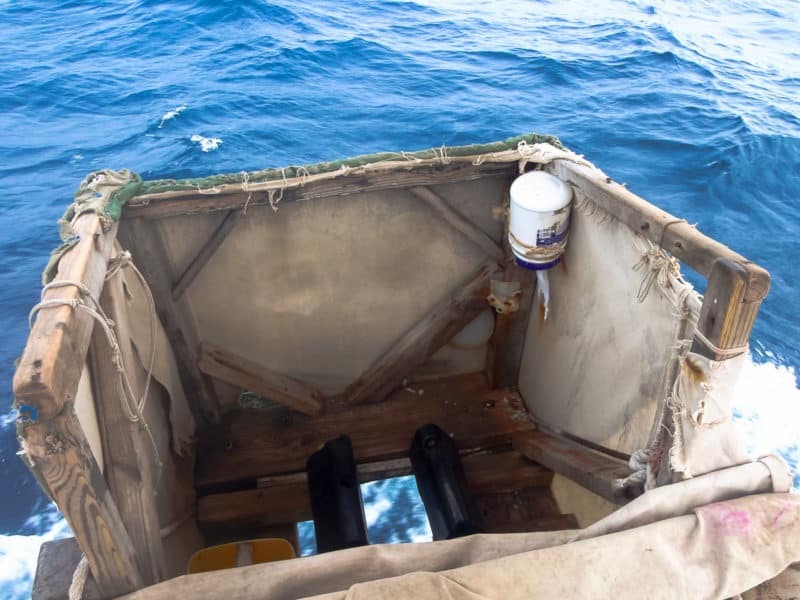 Oh, and if you’re wondering about the toilet, by the time I arrived in Mayotte the boat was sporting the addition of a zuli—an open air toilet box traditionally seen on Arab dhows. The first attempt at a zuli construction hadn’t lasted long in big waves, but thankfully the second attempt survived the rest of the voyage. Much more practical than a yacht toilet prone to blockage, and you can’t beat those views. Shower time in the zuli. Waving goodbye to the ship on Arwad. I’ll be sharing a few of my favourite destinations that we visited in some upcoming posts. Sign up to my mailing list if you don’t want to miss a thing!